Please join the Lillian Goldman Law Library for a book talk with Visiting Professor Anne C. Dailey with commentary by Professor Samuel Moyn. 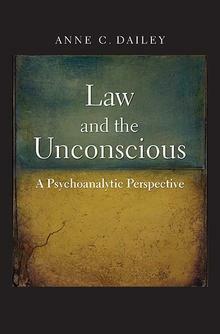 They will discuss Professor Dailey’s new book, Law and the Unconscious: A Psychoanalytic Perspective. How do we bring the law into line with people’s psychological experience? How can psychoanalysis help us understand irrational actions and bad choices? Our legal system relies on the idea that people act reasonably and of their own free will, yet some still commit crimes with a high likelihood of being caught, sign obviously one-sided contracts, or violate their own moral codes – behavior many would call fundamentally irrational. Anne Dailey shows that a psychoanalytic perspective grounded in sold clinical work can bring the law into line with the reality of psychological experience. Approaching contemporary legal debates with fresh insights, this original and powerful critique sheds new light on issues of overriding social responsibility. By challenging basic legal assumptions with a nuanced and humane perspective, Dailey shows how psychoanalysis can further our legal system’s highest ideals of individual fairness and systemic justice. Anne C. Dailey YC ‘83 is Maurice R. Greenberg Visiting Professor of Law at Yale Law School and Evangeline Starr Professor of Law at the University of Connecticut School of Law.